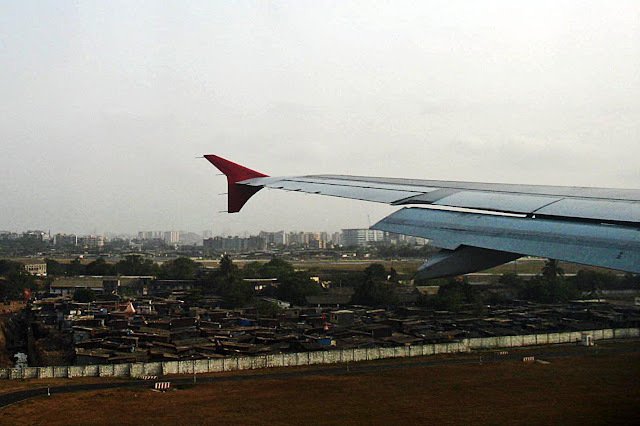 These are photographs of unauthorised slums adjoining the Mumbai airport runaway. Dangerous for the residents of the huts, and also very noisy. 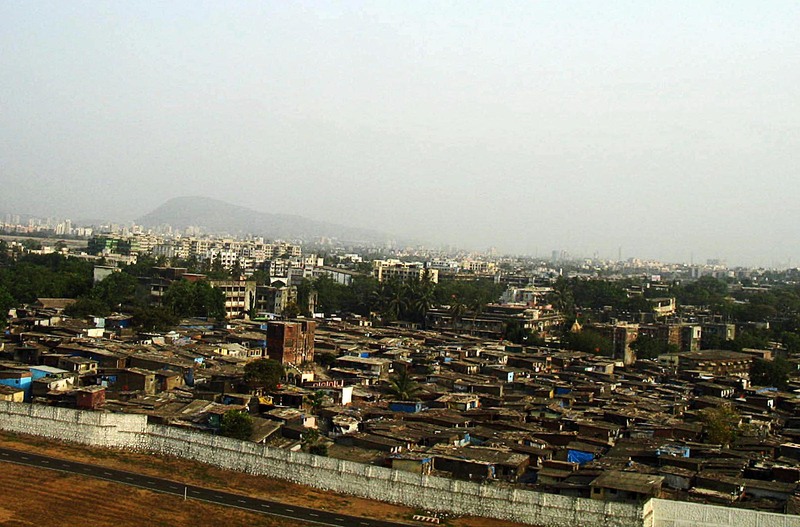 It is dangerous for the aircraft as well because crows tend to collect around the garbage near the slums. Both the photographs were taken from inside the airplane, through the window. In the first picture you can see the wing of the plane which forms the foreground, and the slums the background. This is a clearer picture of the slums next to the airport runaway. 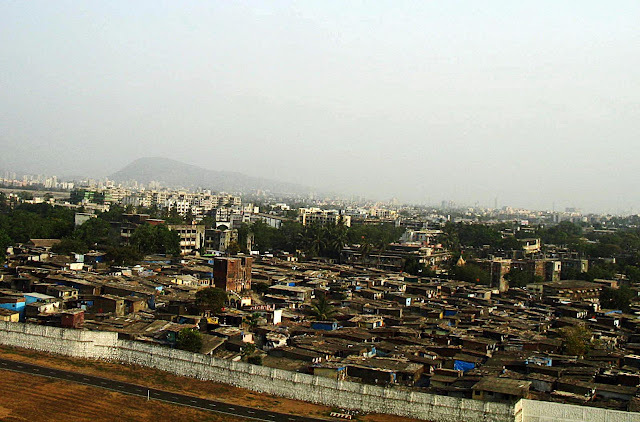 Related Images: Slums in India - Aerial View or Homeless in India - Photographs or check out all posts on Sanitation.